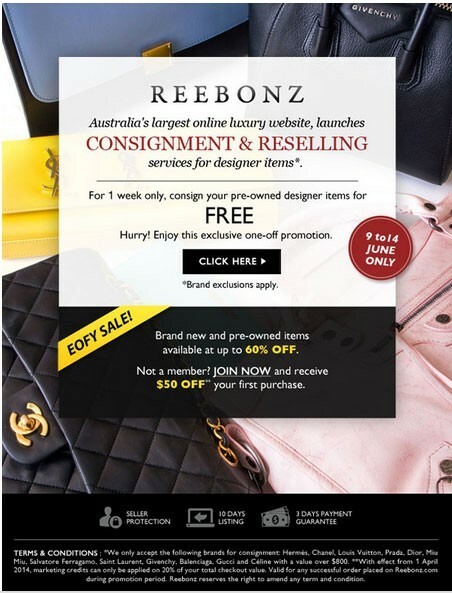 Reebonz Australia's largest online luxury website launches consignment and reselling services for designer items. For 1 week only until 14 June, consign your pre-owned designer items for FREE. * Hurry and enjoy this one-off exclusive offer! *Brand exclusions apply and prices less GST. 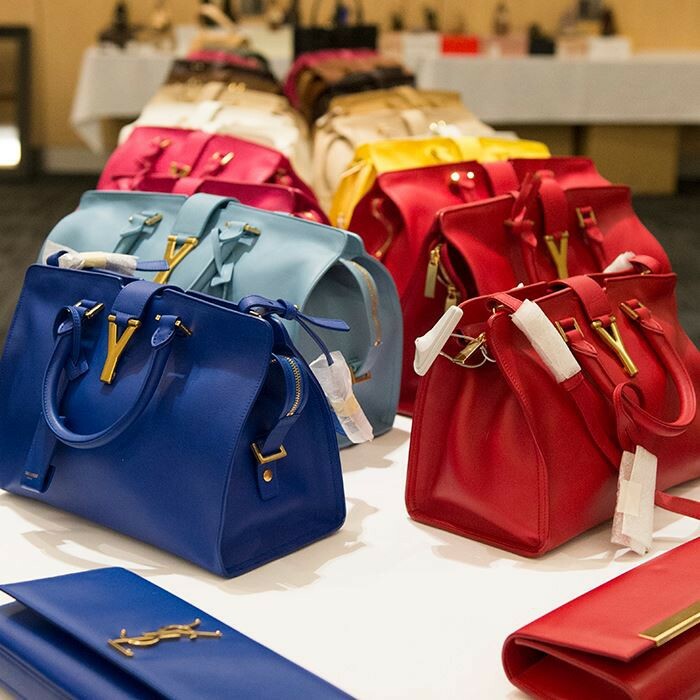 Brand new and pre-owned luxury designer items are also available at up to 60% off. Not a member? Join now and receive $50 of your first purchase.